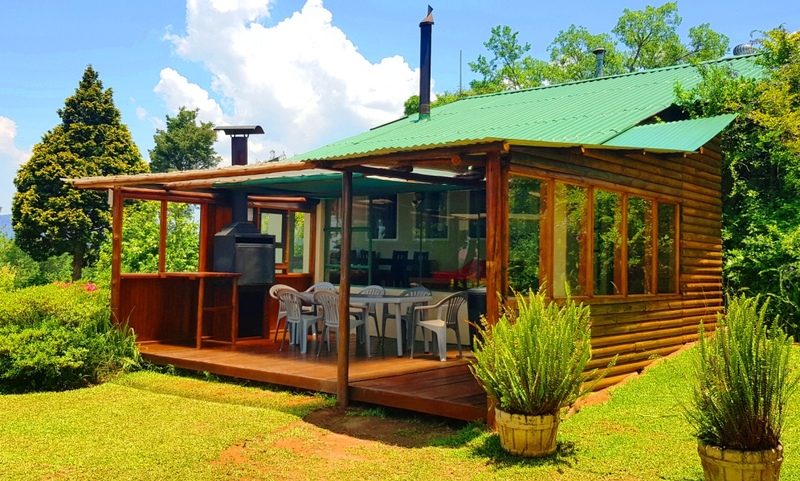 Equipped and decorated to the highest and most soothing standards, the first lodge is a self-catering double storey log cabin that has three bedrooms, two bathrooms and sleeps ten people. The room downstairs has 2 single beds and there is a double bed and three single beds in the first upstairs bedroom and the other has a double bed and one single bed. Such is its privacy, you can luxuriate in a bath looked upon only by a forest and an enormous sky. Centre-piece of the spacious open plan living area is a fitted log fire for those quiet, romantic evenings. A deck gives you a lake view and once sundowners are over, the built-in deck braai beckons. 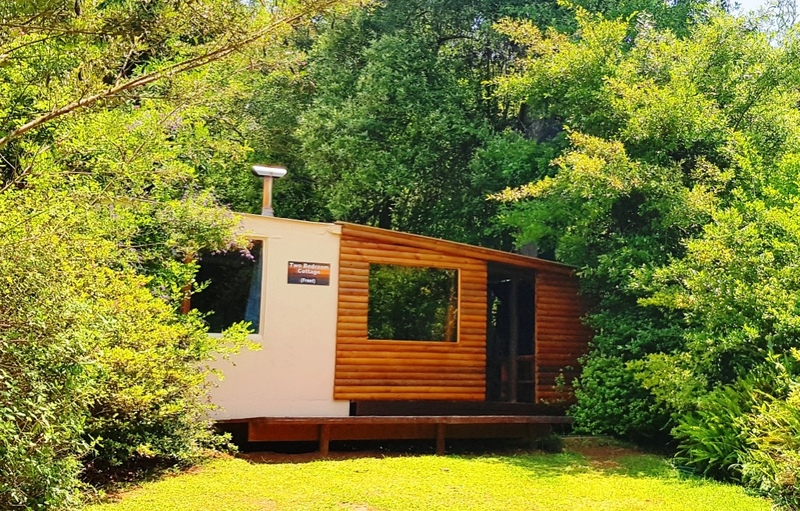 This cabin has an open plan area that includes a kitchenette, lounge, dining and bedroom with a queen bed, all with stunning views of the lake and forests. The Kitchenette is fully equipped with stove, fridge, microwave, pots, pans, cutlery, etc. Towels and linen provided. Fireplace inside for chilly nights here on the mountain. One full bathroom - bath and shower (with a great view of our lake and forests). Use of Weber Braai for braaing on deck, which overlooks Stanford Lake. This two bedroom semi-detached cottage consists of an open plan living area consisting of a lounge with a Fireball fireplace and a dining room. It has a fully equiped kitchenette. There is a double bed in the one room and two single beds in the other. The bathroom has a bath with a shower. 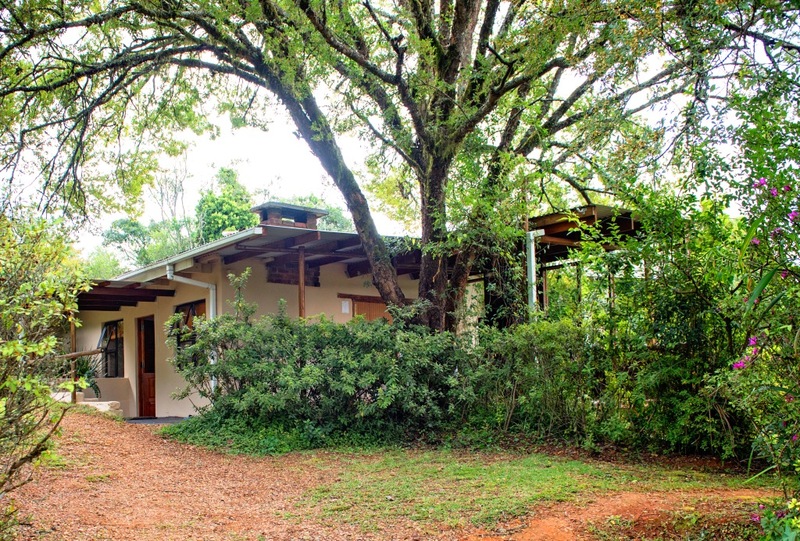 There is a built in Braai in the living area, where you can listen to the birds in the indigenous forest only a stone throws away! 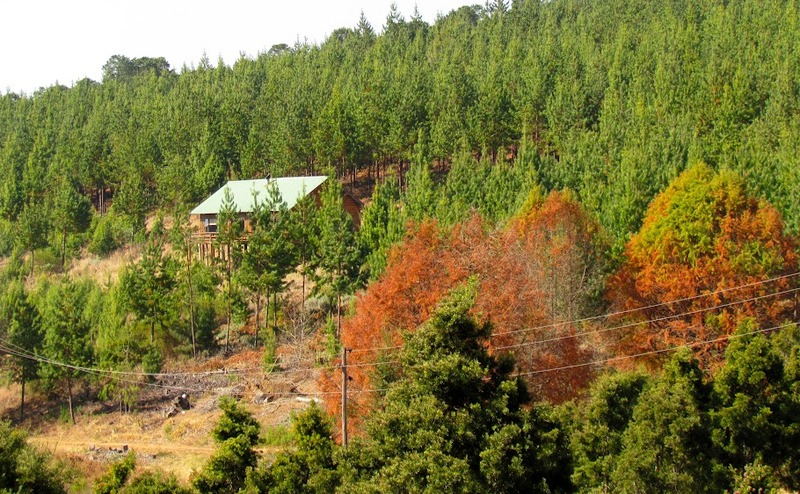 The cottage overlooks the farm azalea garden and further in the distance a spectacular view of the Wolkberg Mountains and Stanford Lake. This semi-detached two bedroom cottage has two single beds in one bedroom and a double bed in the other. The bathroom has a toilet, basin and a shower. The open plan living area consists of a lounge, dining room and a fully equipped kitchenette with a stove, fridge, microwave, pots, pans, cutlery, etc... Towels & linen are provided. The fireplace inside is for those chilly nights here on the mountain . 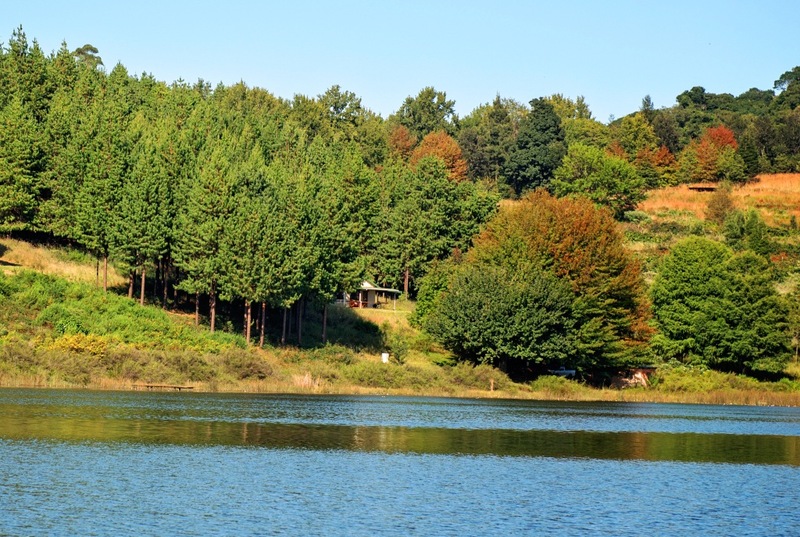 Use the Braai on the covered stoep and sit on the deck which overlooks our 17hectare dam also known as Stanford Lake with mountains in the background and listen to the birds in the indigenous forest right next to you! There are four bedrooms; 3 with queen beds in each and one with 2 single beds. Two bathrooms with showers. The open plan living area consists of a lounge and dining room. 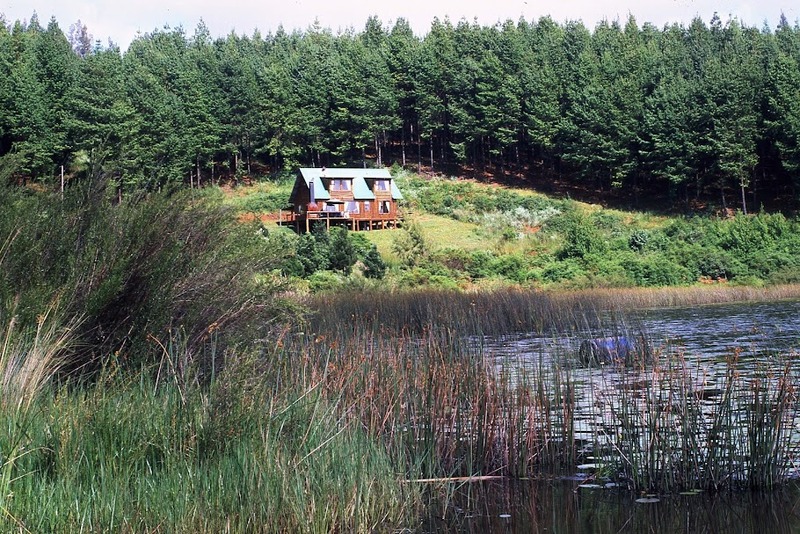 There is also an enclosed stoep which overlooks the lake. The separate kitchen is fully equipped with a stove, fridge, microwave, pots, pans, cutlery, etc... The Fireplace inside is for those chilly nights here on the mountain. The Braai outside on the deck, which overlooks our 17hectare dam also known as Stanford Lake with the majestic Wolkberg Mountains in the background. Highly Recommended properties present a product which offers high levels of professionalism and attention to detail in the decor, quality of furnishings and service. AA Quality Assured establishments are visited annually by a trained AA Assessor. The criteria for Full AA Quality Assurance are based on standards developed by the AA's of New Zealand and Great Britain. They reflect international best practice and have been adapted for prevailing conditions in the South African hospitality industry. 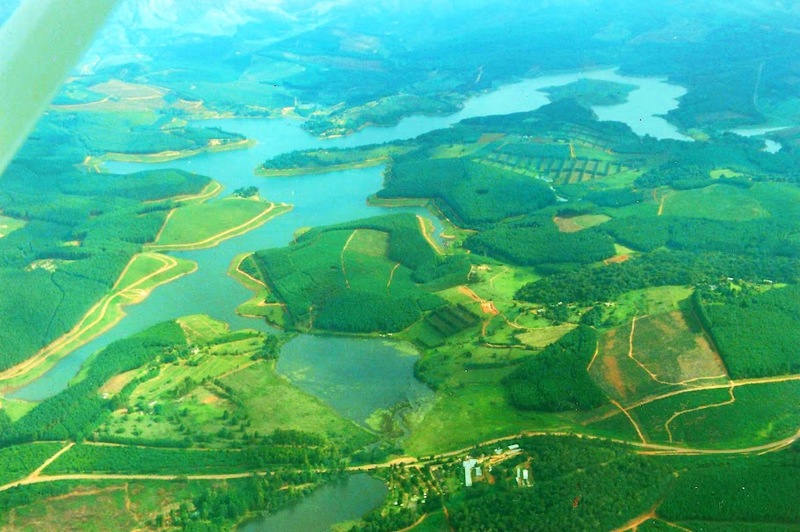 Stanford Lake Lodge, less than 3 hour's drive from Pretoria. Just you, close friends, the water, the forests and endless skies.